My first impression as I arrive at a hot, humid Narita airport is of the 1970s – lots of beige. My second is the excellent signage. I am fond of good signage, traveling as much as I do with short, busy schedules. I follow the floor lines like a robot on a production line to the bus terminal where I board the shuttle to Tokyo. 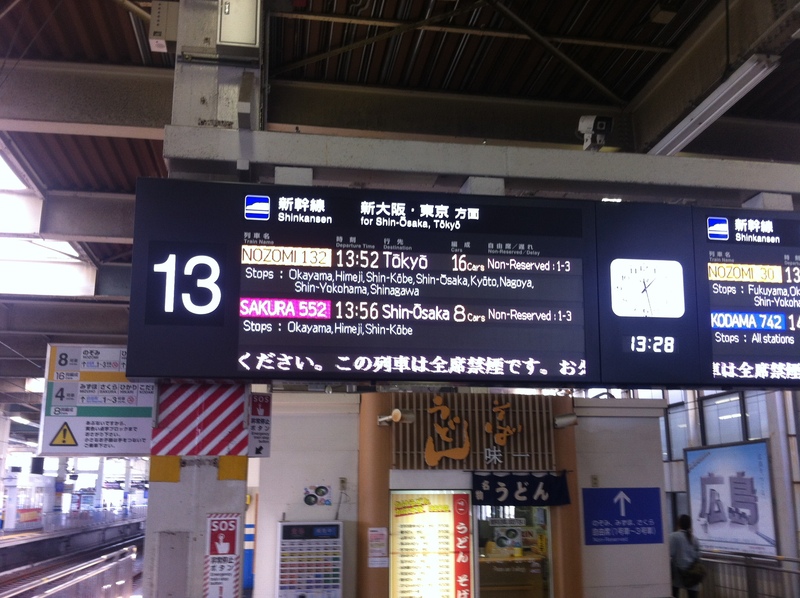 The signage and trains bode well for an efficient Japanese inspection visit. I like my hotel. It’s medium sized in a quiet street but near transport, bars and restaurants. There is an attractive mini Japanese garden outside complete with artfully placed rocks and friendly, helpful staff. 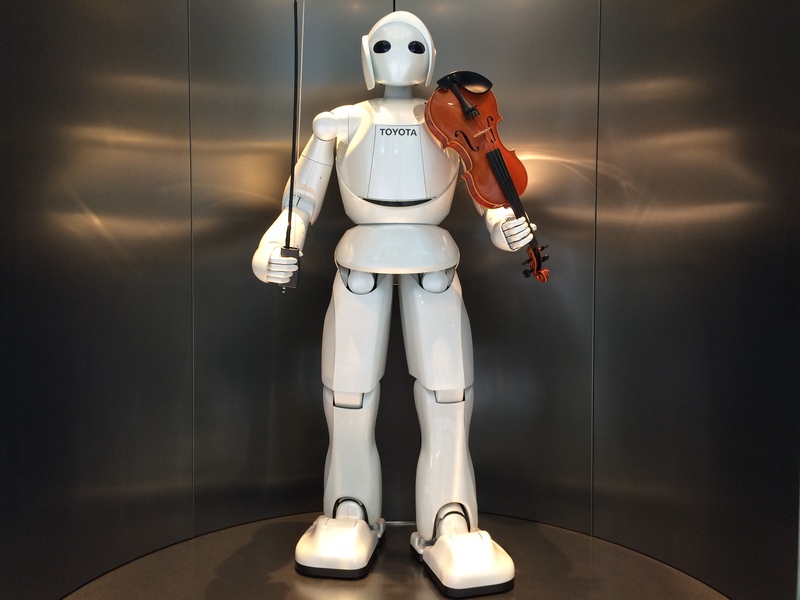 Another early impression – the Japanese are quiet and reserved, and incredibly helpful and kind. Whenever I was looking at a map or generally a bit lost during my trip, locals would always approach and help, sometimes escorting me to the right station exit or platform. The kindness of strangers is a recurring theme on this trip. The rooms are small but attractive with a paper and bamboo lattice in front of the window. I go to freshen up before my initial tour with a local guide and…a revelation! 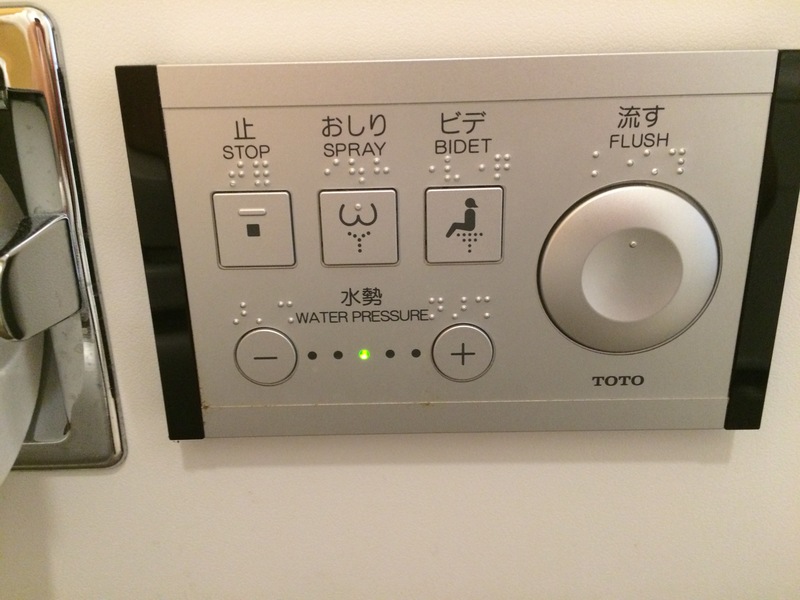 I have seen the future of bathrooms and it’s Japanese. Sit on the loo and water starts running automatically. There is a built in heater, bidet and shower functions with water pressure and temperature control. Some apparently play music when you sit on them. I heard the Chinese are arriving in Japan in great numbers to buy these futuristic loo seats. I have a shower and of course the mirror mists up, but wait – another technological marvel! A square of the mirror remains unmisted. I have only been here a few hours and already I want to live here. I meet my local guide, Kikuko, in the lobby and off we go exploring. I want to master the metro system and orientate myself. 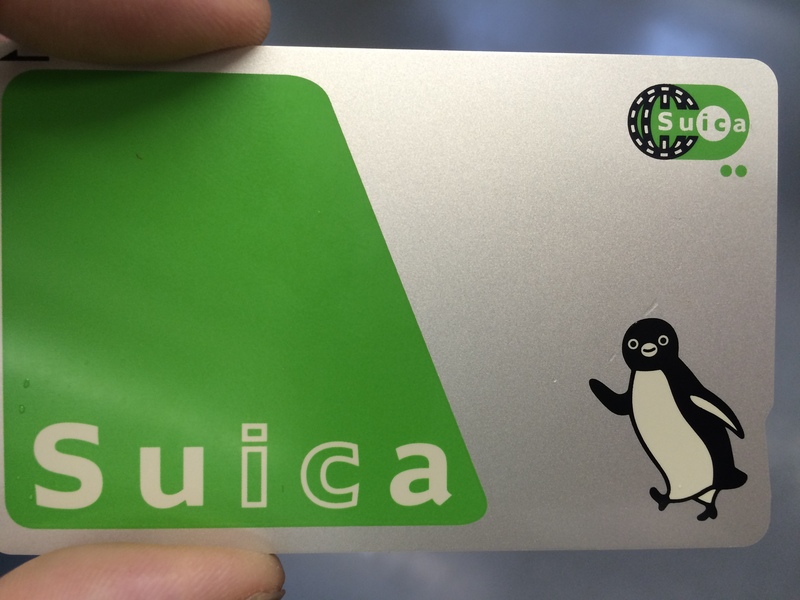 We walk out into a hot, wet Tokyo – a typhoon has just struck – and buy the equivalent of an Oyster or MYKI card. It has a cute Penguin on it. The Japanese rather go overboard on cute. Hello kitty, little cutesy animals hanging off bags, on adverts, on T shirts etc. After a while you want to hunt them. But it contrasts with the dense urban environments and industry – a type of yin and yang, or Wabi Shabi, a similar Japanese philosophy. We travel to old Tokyo. Old is relative in Japan, and especially so in Tokyo. Although Japan has a long history and Tokyo has been an important city from the 16th century, regular earthquakes and fires mean that the city has been rebuilt many times. In 1923 a huge earthquake destroyed much of the city. Worse was to follow, with WWII bombings almost totally destroying Tokyo. But the Sensori Temple in the old district did survive and although busy with tourist remains atmospheric. The air is thick with incense, locals offer prayers and for 100 yen you can have your fortune told. I am a dedicated follower of superstition, any superstition will do – tarot, coffee grounds, tea leaves, or in this instance, a random pick of a long stick which led me to a number that directed me to a paper scroll. The scroll told me there were some trials ahead but I should persevere. Focus on the signage then. Aksakusa and the neighbouring lesser known district of Yanaka have old laneways lined with interesting shops. You can buy all sorts of specialised knives, life-like colourful plastic food that restaurants display, kimonos, handmade noodles and fried rice cakes made on what looked like a traditional conveyor belt. To the Sumida River, where we can see the Tokyo Sky Tree – from its 450m observation deck you can see Mount Fuji on a clear day. We look at boat cruises along the Sumida River. These aren’t junks but sleek, bullet train-like boats and I’m disproportionately impressed. The Tokyo Metro is vast, but its map, like the London Tube map, is easy to navigate, with signage in Japanese and English and colour-coded lines. I take over from my guide and (mostly) manage to travel around the city. 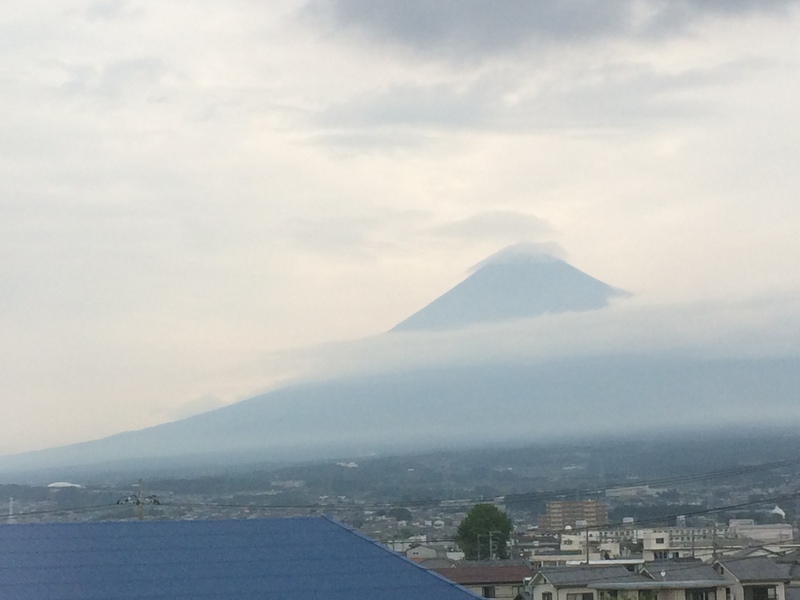 Confidently, I wave goodbye to Kikuko and travel back to my stop, and promptly forget some useful advice – “when taking the metro, always remember your exit number.” Some Japanese stations are vast, with ten to twenty exits. Luckily, the local station only has two, and the walk back from the wrong one was not too far. A full day of Tokyo Metro lies ahead. I have mastered the metro and the trains are refreshingly cool in the Tokyo mugginess. Armed with my penguin I feel I can’t put a foot wrong as I explore Tokyo. To Harajuku, where the announcements at the station coo in a lovely voice “Harajukooooo”. This is an area of wide streets shaded by attractive trees, upmarket shops and immaculately groomed and stylish shoppers, especially the women. A group of female goths pose in outfits that look carefully planned and executed. They look great but it seems a very conformist, consensual rebellion – very Japanese. 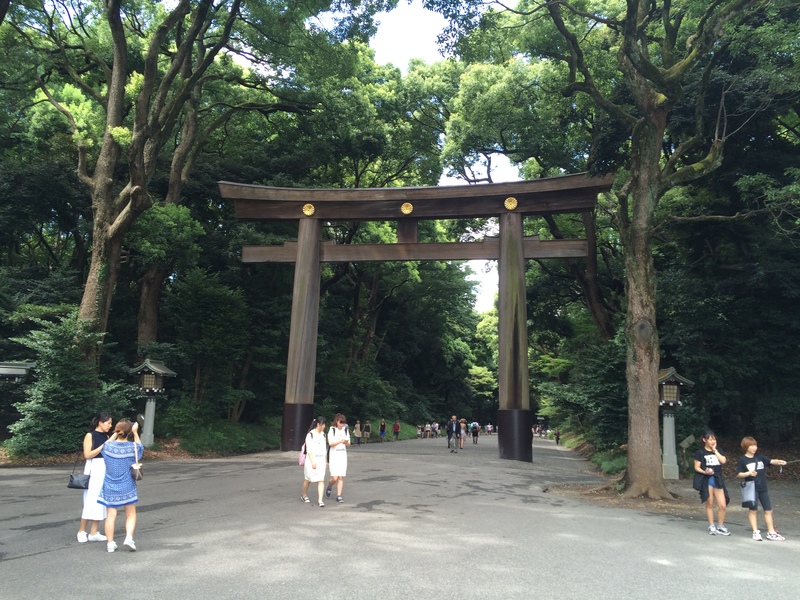 The Meiji shrine, which was reconstructed after the war, is reached through a towering Tori gate made of 1500 year old cypress trees. 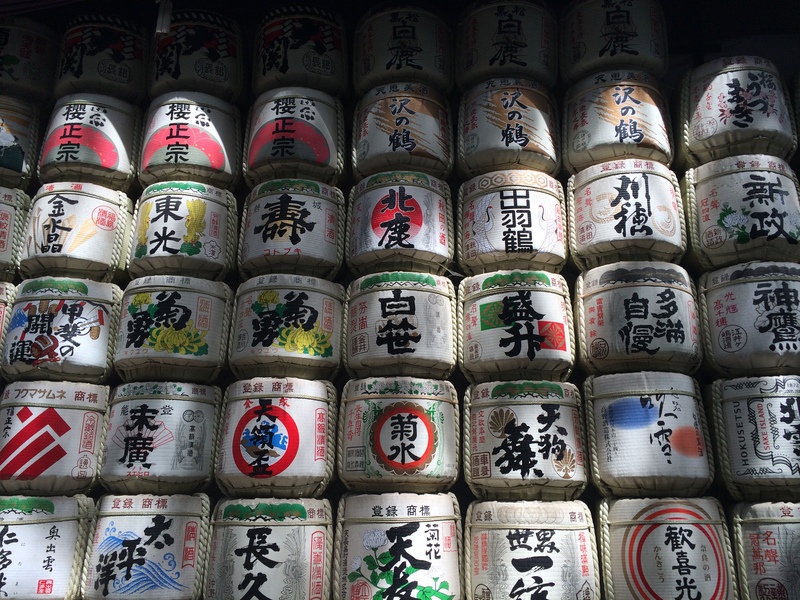 I walk through a tranquil park of huge shady trees with little stops along the way including an impressive collection of sake barrels. 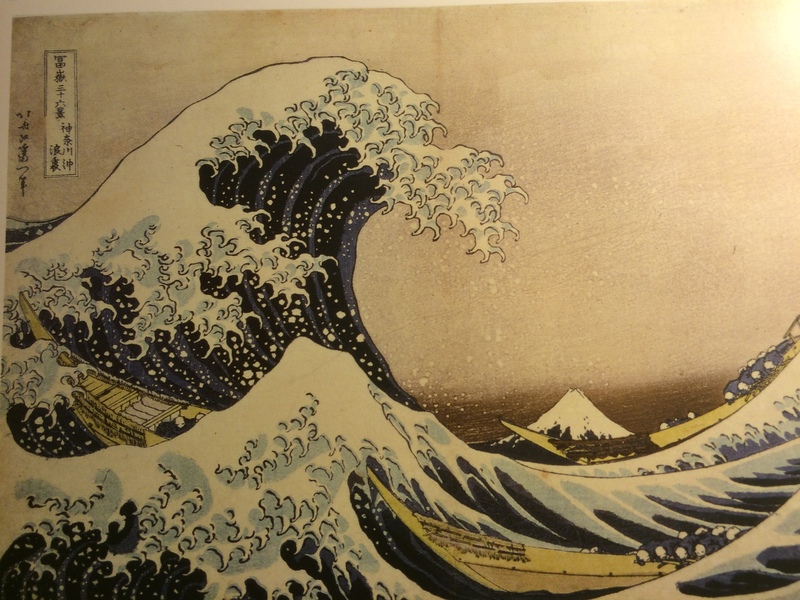 Back past the fashionistas of Harajkoooo to The Ukiyo-e Ota Museum of woodblock prints, an exquisite collection of this particularly Japanese art form. Templates are cut from different blocks of wood, each one adding a colour. These blocks must match exactly so that a coloured print can be created. They are sent to the printer who inks them and proceeds to create the prints. I was particularly impressed by the prints that included rain. To the vastness of Shinjuka station – one of the world’s busiest – to get my rail card stamped and spend a while in the maze of tunnels looking for the railcard office. That evening I meet Gerry, a British expat who has spent a long time in Japan. As we eat delicious pork and drink beer at a local restaurant he tells me about the intricacies of Japanese society. Commercially, Japan opened to the world in 1854 with the arrival of Commander Perry of the US Navy. The country had to accept trade treaties at the point of a cannon. Japan realised at that moment they had to modernise, learn from others and control their destiny. Japan soon became an industrial powerhouse surpassing Europe and America in many areas – even outdoing them at their own traditions, such as Scottish whisky. A Japanese liquor company sent Masataka Taketsuru, a distillery executive to Scotland, where he stayed for years and married a local girl, before returning to 1920’s Japan. In 1934 he started his own distillery to set up Nikko Whisky. Today, the Japanese make some of the world’s best whisky. In some ways, though, Japanese society has not opened up. There is little immigration. The Japanese do not travel in the way young Europeans and Australians do, nor study abroad in the way Chinese and Indians do. Women leave work when they have children, usually permanently. There are very few women in senior positions in business, public service or politics. Men continue to work late and drink after work. Failure is unacceptable. Many bankrupt men commit suicide due to the shame they have brought on their families. But this traditional society is extremely respectful, and safe. Change is difficult as consensus and evolution, rather than revolution, is the norm. The country will have to change, though, as a declining birth rate, no immigration and huge public debt means that another Commander Perry moment could happen. I visit the fantastic Edo Museum. 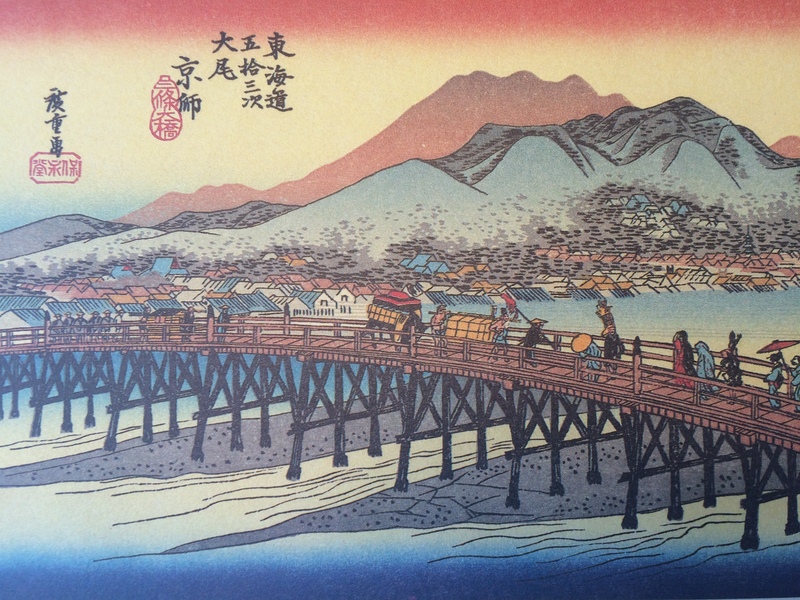 The Edo Period took place when the country was reunited after a bitter civil war in the 16th century and lasted until the mid-nineteenth century. The country was ruled by the victorious warlord, or Shogun, and based in what was a small fishing village of Edo, later renamed Tokyo. The museum depicts the history of Tokyo from this period to the present day with life size replica buildings and moving displays on the great earthquake of 1923 and the firebombing of Tokyo in 1945. This is the best city museum I have visited. Before I leave Tokyo I browse in elegant Ginza district, which is the thing to do in this incredibly chic and expensive area. 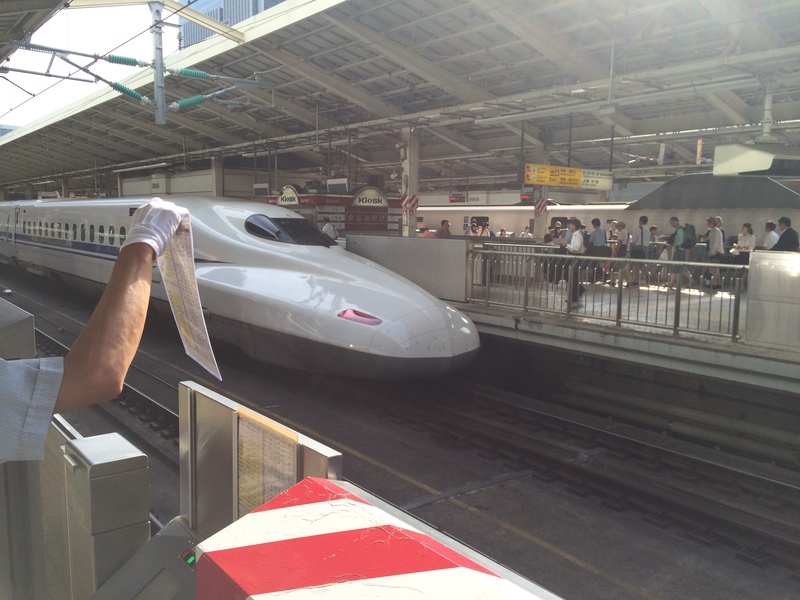 Onto Tokyo station and the bullet train. I was ready to be impressed by the trains and I am, and then I’m more impressed. I am taking a Hikari, a very futuristic train with a long snout and little red lights making it look like a dragon. I am going to ride the dragon to Nagoya. A smooth departure and the ticket collector comes on and bows at one end of the carriage before inspecting tickets. Every member of Japan Rail I meet speaks some English, enough to get you to the right platform and train. He is followed by a lady with a trolley with drinks and snacks. Toilets are regular and clean and include urinals, which I never seen on other trains. There are phone booths and vending machines. 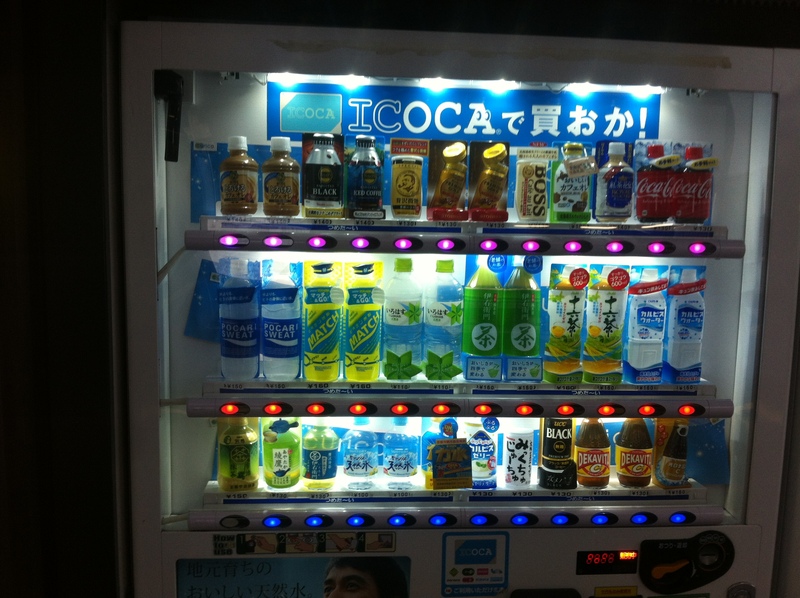 Actually there are vending machines everywhere in Japan and very well acquainted I became with them, too. ← An Island Poised on the Brink of Transformation…Visit CUBA now!